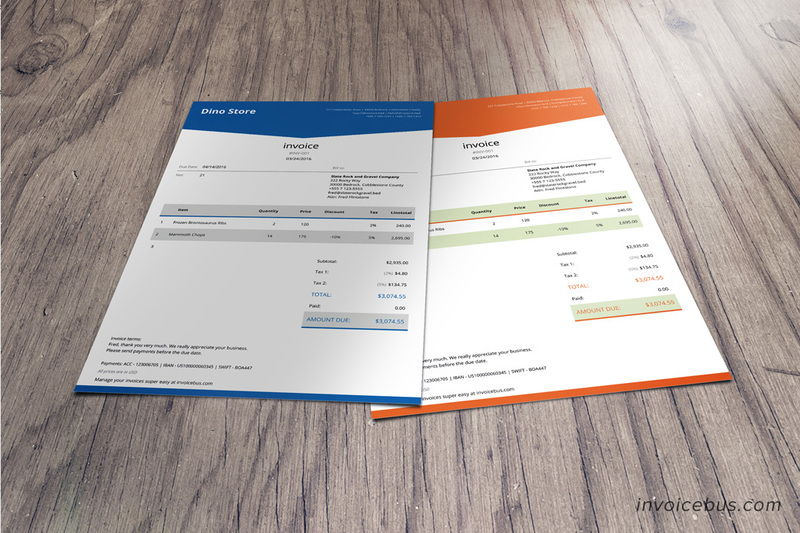 HTML invoice template Lope is a highly functional template that helps you generate professional looking invoices dangerously fast. By using advanced JS scripting in the back-end, Lope looks and feels more like a simple invoice generator than just a template. 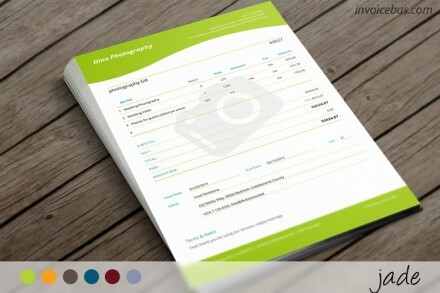 Because this invoice template is made with HTML and CSS you can easily attach your own logo and colors. You can customize every piece of information on the page, you can configure the column visibility, you can select among various date/number formats. 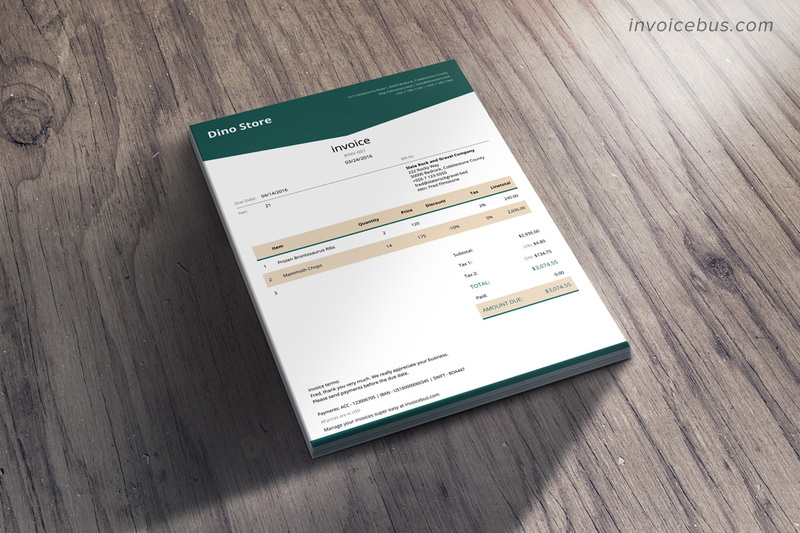 You can even save your default data for that invoice template future re-use in a local file. 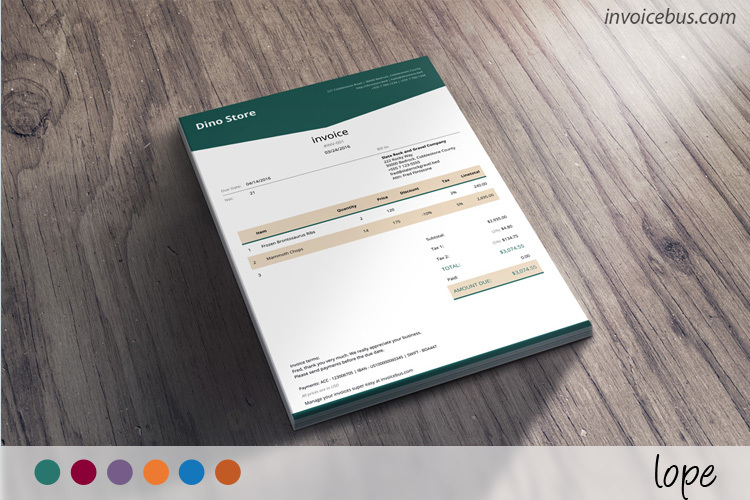 Invoice template Lope is completely calculation mistake-proof. In other words, it performs all the math automatically for you, as you start entering numbers. Also, it auto sets the issue date and due date depending on your settings. This ensures your invoice net terms are always correct, even when you forget to set them. Note: Lope can be used offline on your local computer. or you can host it online on a remote web server as your invoice generator. 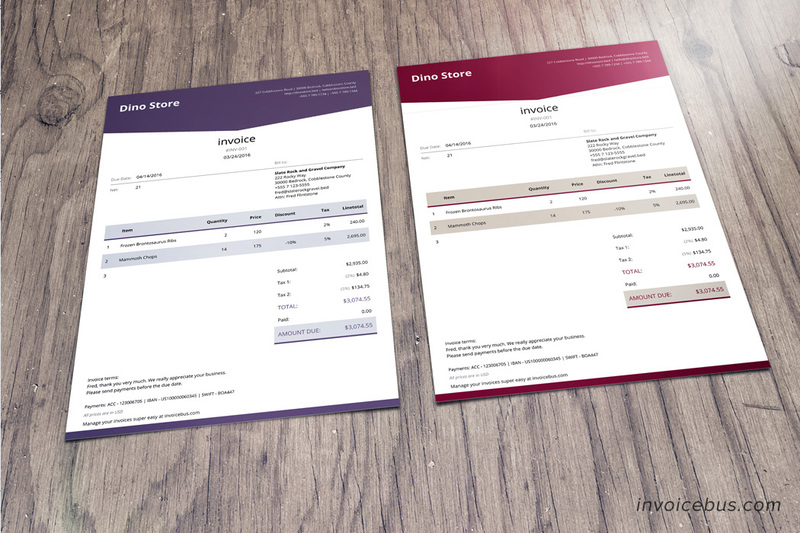 This invoice template conveys a nice corporate design that screams classiness and elegance, but it’s also very useful with all of the information it manages to pack into one sheet. 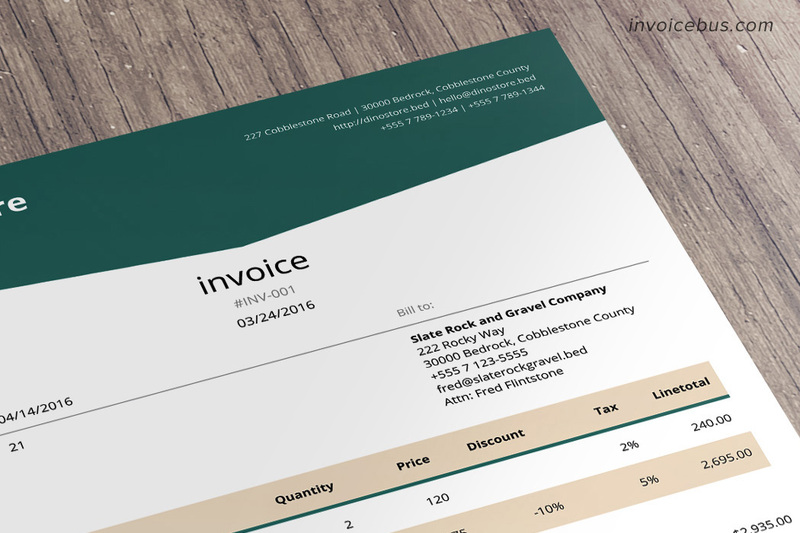 By using geometric shapes and sharp lines, this design makes your invoice clean and linear. 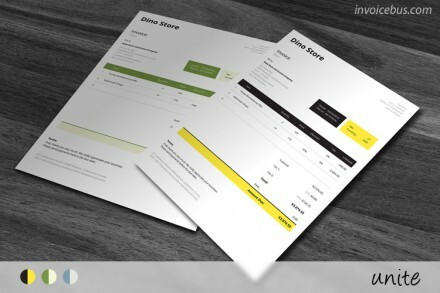 It also brings excitement, energy, and a little bit of branding into what is otherwise a fairly simple invoice design simply by rendering the header in a geometric block of color. Lope comes in 6 color themes: deep blue, dark green, plum purple, sour cherry, citrus, and light brown. Of course, if you feel artistic you can easily create your own styles or modify any existing one. 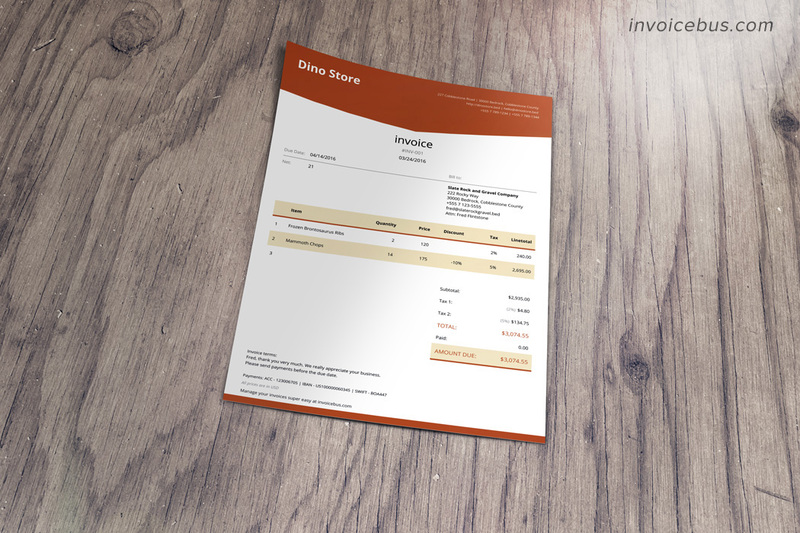 The presented invoice template Lope can also be used as a: bill for services, invoice receipt template, estimate template, price quote template, vat invoice template. If you feel the invoice template fails to meet your expectations, please shoot us an email within 30 days of the date of purchase and we’ll refund every single penny you’ve paid. No questions asked! We’re a group of a few die-hard code freaks, lovers of beautiful design, stewards of simplicity and passionately dedicated to the invoicing experience. 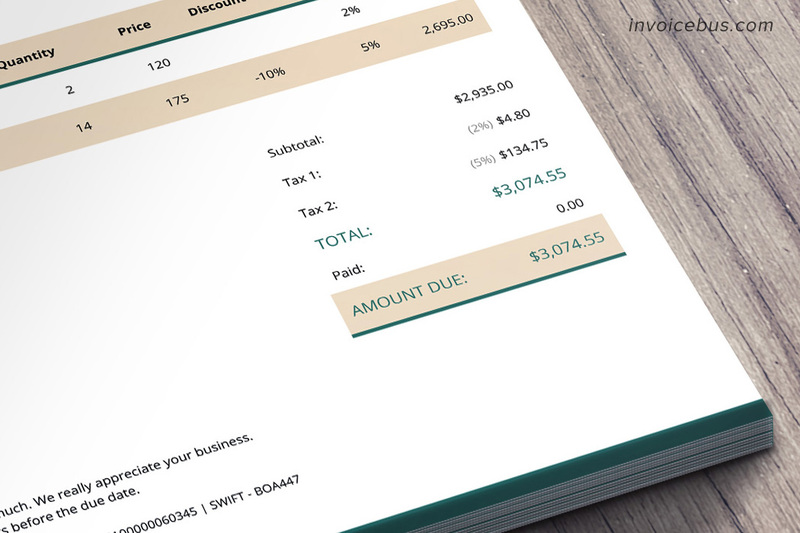 We also run Invoicebus – an online invoicing tool that lets you receive quick online payments, directly through your invoices. Both it for my new business and I love it!